Are you interested in knowing how to self-publish books the creative way, with maximum pleasure and profit, creative and commercial satisfaction? 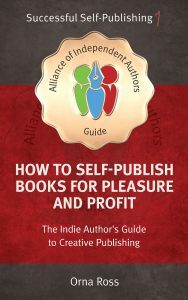 My How To Self-Publish Books For Pleasure and Profit gathers together all I’ve learned from running the Alliance of Independent Authors, from its magnificent members and advisors, and from publishing my own fiction, poetry and non-fiction. In 2011 I self-published my first book (a poetry pamphlet) and soon afterwards entered negotiations with my fiction publisher to take my rights back. It has been the best move of my writing life (you can read my self-publishing story here). other creative entrepreneurs who understand that publishing (in the widest sense) is the key to growing their passion-powered enterprises. The Alliance of Independent Authors runs the self-publishing advice center (SPAC) at www.selfpublishingadvice.org. 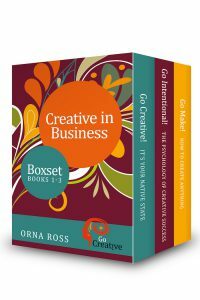 Every creative business is now also in the book publishing business. That’s because digital publishing is the way contemporary businesses build creative assets and optimise their impact, income and influence. Packed with advice, theories, research and F-r-e-e-writing exercises, these books explain why creatives must do business the creative way. And what that means. And how to do it.